I spend a lot of time working with my hands and I think it’s important to have an awareness of where our food and products come from. Whenever I can, I do my best to make things from scratch. 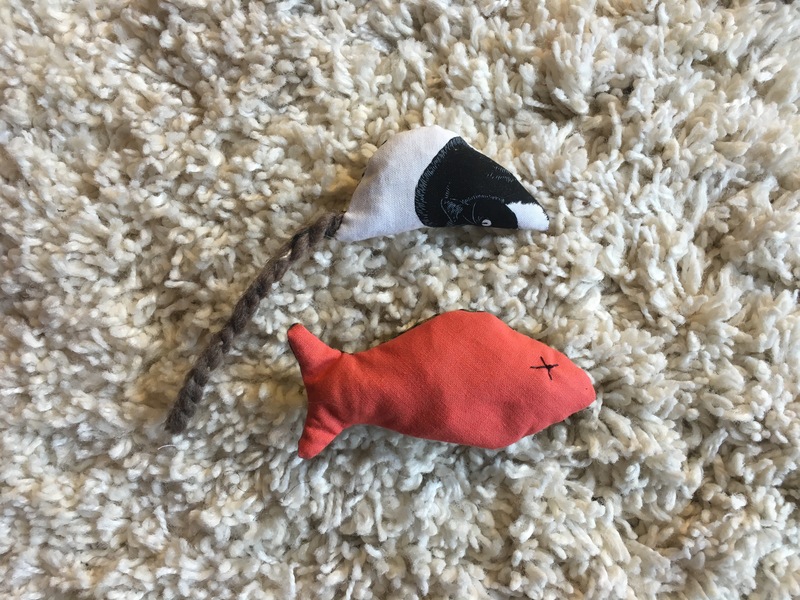 Making cat toys is a new experience for me as well because this is the first time I’ve ever made any. Today I made little stuffed toys. It turns out Dragon goes bat poop crazy over theses things. The other awesome thing is, he can carry these in his mouth. I’m currently working on teaching him how to fetch. 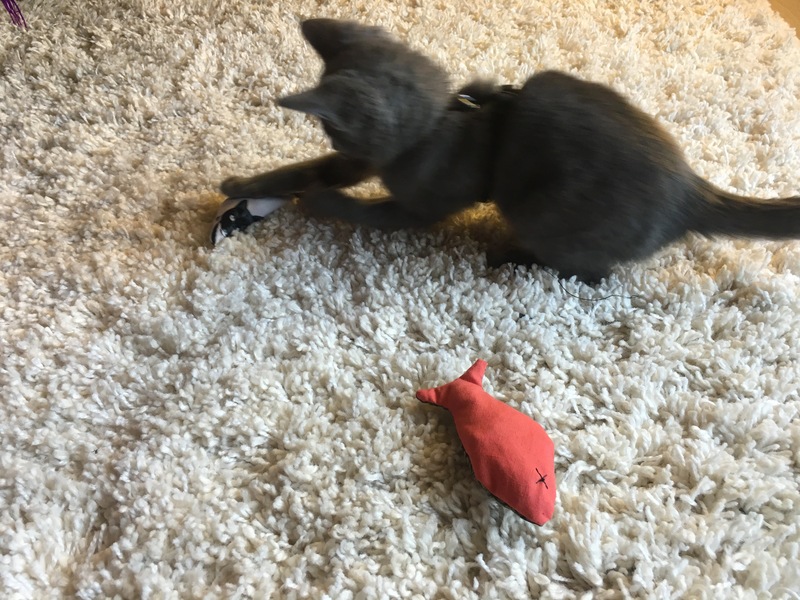 I’ve learned that it’s very important to simulate hunting skills with cats in order to keep them sharp and stimulated. 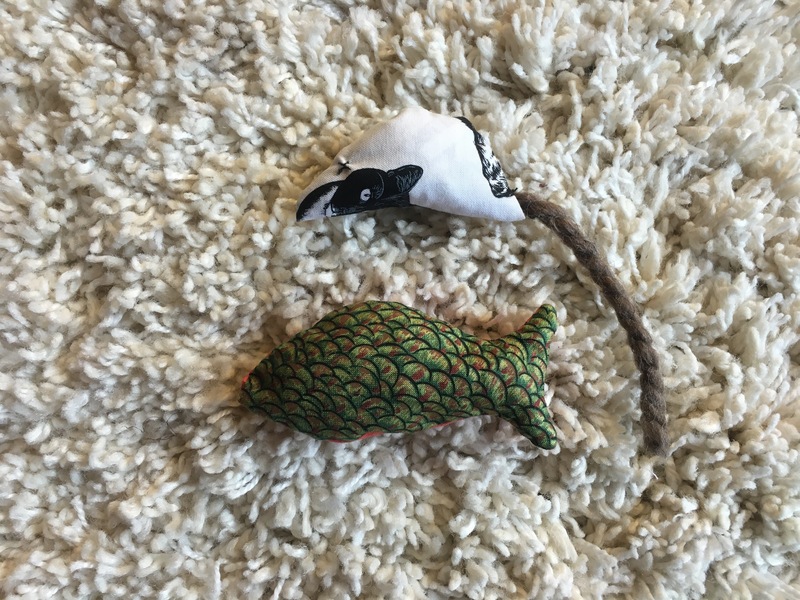 That’s why I’ve made these toys to imitate mice and fish. Step 2: Draw an outline on the fabric and cut out the shapes you want. For a mouse cut a circle and a fish well… This is what I think fish look like. 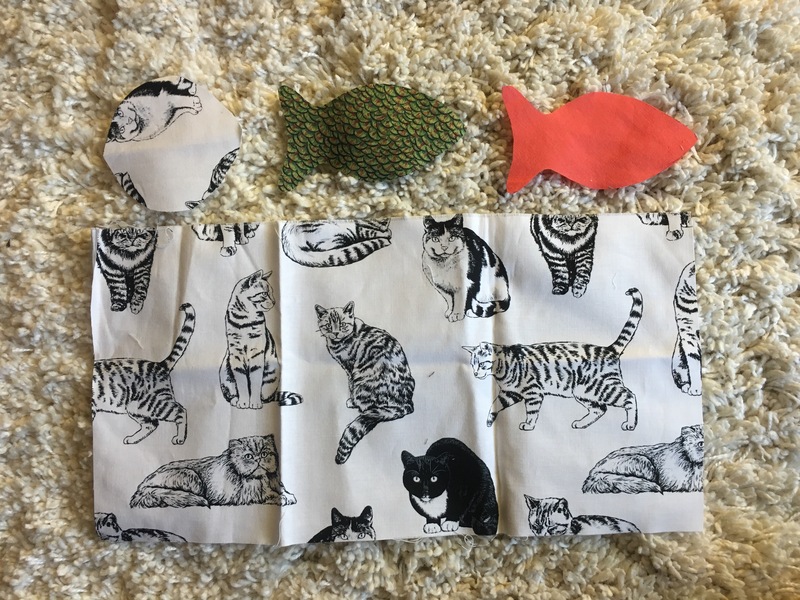 You will need two pieces for one fish (front and back) and the circle will be folded in half to make a mouse. Step 3: For the mouse, turn the fabric so the pattern is on the inside and fold the circle in half. Sew the seam about 1/8″ from the edge about 75% of the way. Step 4: Turn the half circle inside out and start stuff with the scrap fabric and alternatively the cat nip. Step 5: (Make the Tail) Cut a length of yarn and tie a knot at one end. Step 6: Sew up the remaining seam and just before you close it up, place the knotted end of the yarn into the mouse and then sew it in place. For the fish follow the same steps minus the tail! 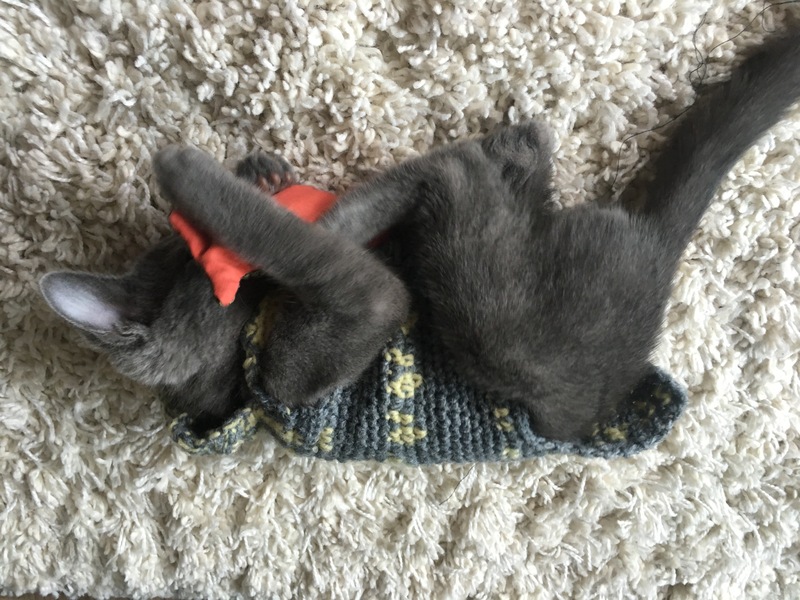 This entry was posted in Adventure stuff, alberta, How to Train My Dragon, Inspirational and tagged cat nip, do it yourself, homemade cat toys, How to Train My Dragon, inspiration, stuffed animals, try something new by melbaseto. Bookmark the permalink.